So, How Can Golf Courses Start Using Text Messaging? Send mobile coupons for use in your Pro Shop. Text a golf special in the morning and your number of rounds increase the same day. Send mobile coupons to customers on slow days to make sure you have people on the course at all times. How do you connect with your customers no matter where they are? Try using the one device that they carry on them almost 24 hours a day. Text messaging is very affordable. Most golf courses could be up and running for less than $100 per month. 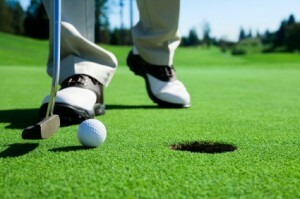 Take a slow day, send out a text message blast to your golfers, and get ready to book tee times! Text messaging marketing for golf courses is targeted, fast, and only costs a fraction of print and other advertising mediums.